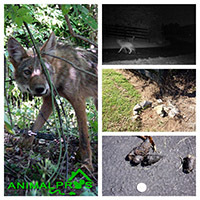 Animal Pros in greater Nashville is your best solution for coyote removal and control services in Middle Tennessee. Coyotes are one of the most adapted species to most residential settings in most neighborhoods in our state. Coyotes are thought to be only out in the wild, but they are known to enter farmland, neighborhoods, and even urban areas in search of food and shelter. They can pose a danger to livestock and pets, and even take up refuge under or around your home. They are opportunistic feeders and can eat nearly anything. They will feed on pets, livestock, deer, poultry, other wildlife, road kill, insects, garbage, pet food, and even vegetation. Coyotes in residential areas have in most cases have lost their fear of humans, and can approach especially if walking a dog. If you suspect Coyote activity in your area, be cautious about letting small pets outside unattended, even with a fenced in yard. Avoid Coyote problems by not allowing pets to roam freely, not feeding other wildlife, not feeding pets outdoors, having garbage or trash secure, inspecting existing fences for digging under, and monitoring Coyote activity. Animal Pros can help you with coyote removal in Nashville. In addition to preying on livestock and pets, Coyotes also take advantage of food sources, water or drainage areas, and shelter sites. Give us a call and we will help you secure your property by using Coyote removal and trapping practices. If you have spotted a coyote in your area, give us a call and we will help with you coyote control needs and make sure your land is secure and safe from the threat of coyote. Our coyote control solutions will effectively control coyote problems to a acceptable level. New fencing installation and add ons to existing fences. Guaranteed work, with experienced specialists. We specialize in coyotes and wildlife. If you are having problems with a Coyote on your property, give us a call. Coyotes can cause damage to livestock and pets. They are a nuisance animal that thrives in residential neighborhoods. Don’t run the risk of a coyote attacking a family pet. Let our professionals help with your coyote removal needs. Animal Pros will help you with Nashville coyote trapping. We will capture the coyote in a humane manner using safe, effective, trapping solutions. Coyote problems are usually started by monitoring activity to ensure trapping will be successful. Trapping for coyotes is humane, meaning live traps. While most mature coyotes will not go into a live cage trap, we have a live catch cable restraint system that completely disappears in the ground. This has been successful in capture of mature adult coyotes, and is safe for pets as well. 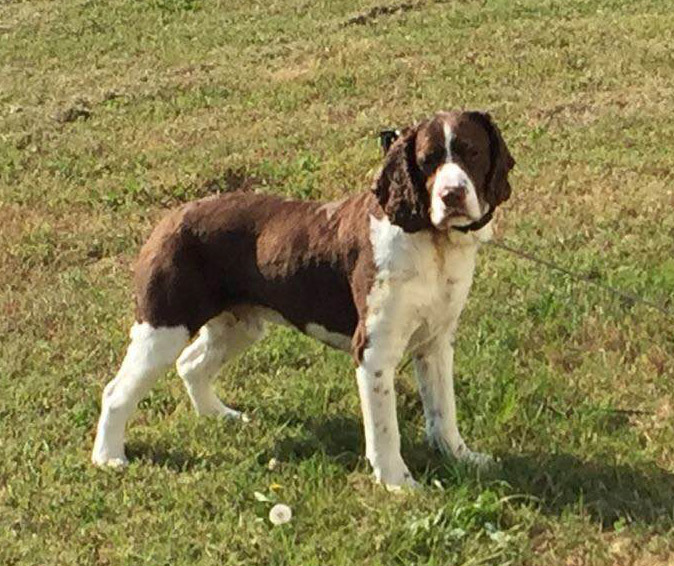 There is a huge liability when using footholds and snares in a residential setting, and would avoid use of those methods, as it can be harmful to pets. It is best to contact one of our professionals who are experienced in every aspect of residential coyotes. Coyote management is necessary in situations where trapping is a liability because of people and pet presence. Successful management is conducted when activity in the area is lowest. Every situation is unique, and would be evaluated by a specialist to determine the best method. Keep a close eye on pets at all times. Do not let pets run around unsupervised, especially small dogs and cats. Feed pets during the day and clean up any leftovers. Keep garbage in trash cans, and avoid using compost piles. Keep shrubbery and bushes trimmed and maintained, as coyotes can lay and wait. Recent and often coyote activity can be kept in a log or marked down. If walking your pets, keep them close to you and walk with others, carry a stick. Start a Social Media group with your area, detailing recent sightings, as that keeps everyone informed. The major contributing factor to the rise in coyote numbers in residential areas is encroachment. As we develop land coyotes once occupied, they have nowhere to go. This has led to problems in most neighborhoods all over the U.S. which gets worse yearly. Some cities are contracting private contractors for controlling coyotes. Short of the seasonal hunting of coyotes or the occasional coyote hit by a car, the numbers will never be controlled unless action is taken. Problem areas for Coyotes have several factors in common. As wildlife is 100% unpredictable all of the time, these are interesting keys to look out for. Seeing Coyotes during early morning or late afternoon in neighborhoods. Coyotes going after pets on a leash while being walked. 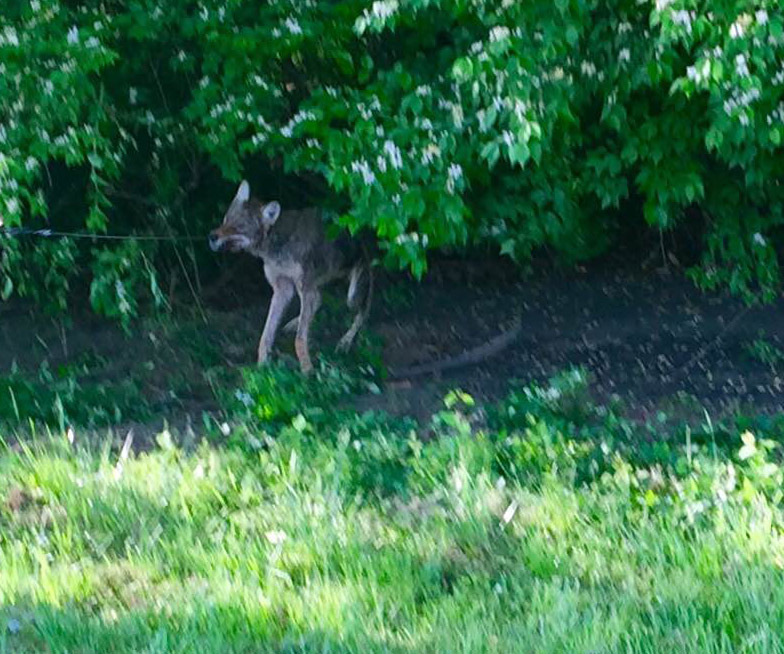 Coyotes going after or approaching walkers, joggers, runners, and bicyclists. Mid Day aggressiveness to people. Usually there will be a heightened presence of coyote activity in residential neighborhoods during the pup season, as they will go out of their food range to provide additionally needed food for pups. Coyotes are shy and timid animals, but curious by nature. They are incredible clever animals. They are excellent diggers, and have the ability to climb over 6ft walls. Often resembling a German shepherd, with similar coloration, they typically have shorter, bushier tails, and longer, narrower muzzles. They can weigh as much as 40 lbs or more, with average being around 25 lbs for a adult. They are opportunistic, and prey and scavenge. Coyotes food range can be from left out pet food or garbage, insects, small animals, big animals, grasses, vegetation, reptiles, amphibians, or anything available. Coyotes breed in February and March and young are born around April and May producing as many as 19 pups, although average numbers are 5 – 7 pups. Average lifespan for a coyote in the wild is 10-12 years. Identifying coyote damage can be difficult to the untrained eye. Damage can result in loss of pets and livestock, and even crop depredation. Evaluating the area is needed to identify the problem animals. 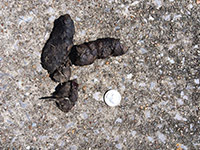 Tracks, droppings, trails, areas dug under fences, are all things to look for when identifying the problem animal. Coyotes are incredibly smart, and wary, and professional help is suggested in diagnosing coyote damage. 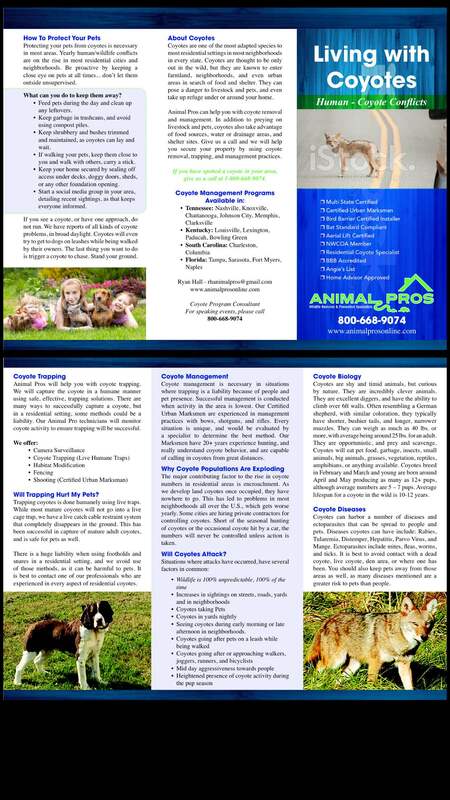 Call one of Animal Pros specialists today. Coyotes can harbor a number of diseases and ectoparasites that can be spread to people and pets. Diseases Coyotes can have include Rabies, Tularemia, Distemper, Hepatitis, Parvo Virus, and Mange. Ectoparasites include mites, fleas, worms, and ticks. It is best to avoid contact with a dead coyote, live coyote, den area, or where one has been. You should also keep pets away from those areas as well, as many diseases mentioned are a greater risk to pets than people. I’m spotting coyotes frequently in my yard, and have small children and pets. I placed a call to our City Hall and to Animal Control, but no one will help. What can I do, and who should I call? This is a common nationwide problem that most neighborhoods everywhere are faced with. Very few Municipalities, City Hall’s, Police Departments, or Animal Control facilities have any service for private wildlife problems. In most cases budget and manpower will not keep up with the demand. Most departments have turned all wildlife problems to the private sector. We happen to be one of the largest private wildlife control organizations operating in several states. Our Predator Coyote Control programs are being recognized and implemented in Departments all over currently. We are the ones to call, and offer neighborhood speaking events, helpful tips for homeowners, and coyote control services in dealing with the growing problem. I have a large dog around 75 lbs, and when i let her out, a coyote approaches her. The coyote is not aggressive towards her, and acts a little playful, but should I be concerned? Yes, i would be concerned. I read a similar story of a coyote approaching a large dog for 3 days in the yard. On the fourth day, the dog followed the coyote a little too far toward the tree line of the woods, where the coyote then attacked the dog. Coyotes are incredibly smart, and they are 100% wild. I have a large fence surrounding my back yard where i let my two small dogs out. I know we have coyotes in the area, but they can’t get into my backyard can they? Coyotes are excellent at digging, and can even find ways to get over a fence. Periodically checking the area can reduce any such chances. Skirting added to the existing fence can take away any chance of coyotes digging under your fence. Also ensure there are no branches or limbs hanging over your fence and that all fencing is secured.